The February schedule includes: “Dr. 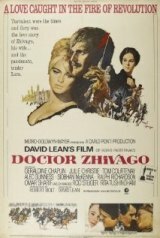 Zhivago” ( Sun. 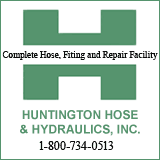 Feb. 6, 4 p.m.; Mon. Feb. 7, 7 p.m.); “Apocalypse Now” (Sun. Feb. 13, 4 p.m. , Mon. Feb. 14 , 4 & 7 p.m.); Stanley Kubrick’s “Full Metal Jacket” (Sun. Feb. 20 , 4 p.m., Mon. Feb. 21, 4 & 7 p.m.); Robert DeNiro’s “Raging Bull” (Sun. Feb. 27, 4 p.m., Mon. Feb. 28, 4 & 7 p.m.). The March line up has “The Last Waltz” (Sun. March 6 , 4 p.m., Mon. March 7, 4 & 7 p.m.); “The Godfather Part II,” (Sun. March 13, 4 p.m. , Mon. March 14, 7 p.m.); George Romero’s original “Dawn of the Dead” (Sun. March 20, 4 p.m., Mon March 21, 4 & 7 p.m.; and “The Sound of Music” ( Sun March 27, 4 p.m. and Mon. March 28, 4 & 7:15 p.m.). All shows are in high definition Dolby Digital Sound. Admission $5.00.